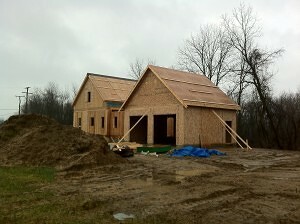 The trusses for the garage are set and the roof sheeting is on. I took this picture yesterday. Today is snowed, but the trusses got set for the connector room between the garage and house.